The classical moon goddess, Diana, is still worshipped by neopagans today. Long after Christianity’s triumph over classical paganism, her worship is still going strong. Diana was the personification of the positive aspects of lunar forces. She was also believed to have led groups of nightriders (known as the “Wild Hunt” or the “Furious Horde”) who flew through the air. The “Wild Hunt” was comprised of “people taken by death before their time, children snatched away at an early age, victims of a violent end.” The goddess would accompany her followers as they wandered at night among the houses of the well-to-do. Whenever they would arrive at a home that was particularly well-kept, Diana would bestow her blessings upon it. Diana was intrinsically linked with several other witch deities, including Abonde, Abundia, Aradia, Hecate, Herodias, Holda, Perchta, Satia, and Venus. Posted on February 27, 2014 by ladyoftheabyssPosted in Articles, Daily Posts, The GoddessesTagged Brigid, classical paganism, Diana, Diana The classical moon goddess, diana princess of wales, Goddess, Greek mythology, List of lunar deities, People, personification, Royal family. And be my best self. Shine out like a star. And be my best self ever. Posted on February 21, 2014 by ladyoftheabyssPosted in Articles, Daily Posts, Prayers/invocationsTagged Celtic polytheism, Devi, God, Goddess, Gods and Goddesses, Greek, hina hina, Kali, Moon, People, Religion and Spirituality, Triple Goddess, Wicca. On this ‘Random Acts of Kindness Day’ I suggest you do something nice for someone else with no expectation of reward. Roll the neighbor’s garbage pail off the street and into their yard. Or simply smile at a stranger. It’s not all about paying the toll for the car in back of you, although that’s as good an idea as any. You can make the biggest difference on this planet by simply doing the smallest act of kindness. If even a handful of us offer one random act today, we can create a wave of kindness that will wash over the whole planet. Posted on February 17, 2014 by ladyoftheabyssPosted in Articles, Feng Shui TipTagged Acts of the Apostles, Debt Reduction, Pay it forward, People, Random act of kindness, Random Acts of Kindness Day, Religion and Spirituality, Requesting Help. 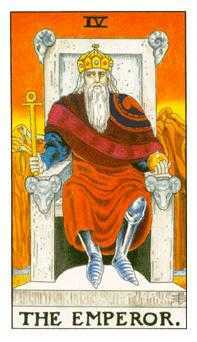 In the most practical terms, what has traditionally been called the Emperor card represents the highest leadership, a head of state or the most exemplary and powerful person in the realm. This archetypal ruler is responsible for the positive working out of affairs of a society or community, which are directly proportional to his well being and happiness. Posted on February 14, 2014 by ladyoftheabyssPosted in Articles, Daily Posts, TarotTagged Ancient, Archetype, Emperor, Emperor card, Head of state, History, People, Rome, Tarot. Don’t be too smart for your own good. Don’t be too critical of your own work. Prepare for what you intend to do, and plan how you will do it, but not to the point of obsession. Sooner rather than later, finish the planning and start the doing. Even though you won’t get it perfect, focus all your energy on getting it done. Even though you may have your doubts, push on through them and keep going. Achievement is never clean or linear. Great achievement is messy and inconvenient, daunting and often quite unpredictable, and it is worth all that. You have great achievement within you, today, in this place, using what you have and what you know. What a shame it would be to never let that unique achievement see the light of day. So get busy right now and begin to let it see the light of day, on this day. You have so much to give to life, and such exquisite fulfillment to savor from doing so. Posted on February 8, 2014 by ladyoftheabyssPosted in Articles, Daily PostsTagged Business, Distribution, Distribution and Logistics, Order Fulfillment, Organizations, People, Ralph Marston, Transportation and Logistics. To stand alone does not mean there is no one else around. It means we are u na tse li dv-u na to tiv hi…. We think for ourselves in an independent way, using our heads rather than our feet. We fit life to us instead of letting it press us into a mold that would not makes us happy. Letting the world dictate to us is being one of the herd that runs – not because it is the right thing to do, but because we think everyone else is doing it, and so must we. Is it the right direction? Refusing to be swept along with every trend is cultivating our inner awareness of right and wrong. Awareness is there within us, but we have to hear it and heed it. This is why we were given intelligence – to stand alone so that we may have something to offer when someone else needs us. Posted on February 4, 2014 by ladyoftheabyssPosted in Articles, Daily PostsTagged Abortion, Boston, Carlos Henriquez, Daily Feast, Democratic Party (United States), Ethics, Organizations, People, Pro-Life. These are no longer ordinary times, and many circumstances we thought would never change, are changing. The innocent times, the good natured humor of life has been covered over with suggestive jokes empty of meaning. The ground is shifting under our feet and we are having to learn to walk a new way. Few things are permanent. We are born of change, but we still have to keep a commonsense attitude or we can lose our footing. We need to prove, long before we accept something as fact, that it is true. If it is right, it can be proved. Much is a mystery to us. But to the Tsilagi – Cherokee – silence is golden. We speak little and listen long. Words are important in songs and in ceremonies – and in general conversation as well. It is wise to save words and use them only when they can be effective. Posted on February 3, 2014 by ladyoftheabyssPosted in Articles, Daily PostsTagged Christmas and holiday season, circumstances, Daily Feast, God, Holy Spirit, Jesus, Joseph, People, Presentation of Jesus at the Temple, Saint Joseph. How many of you have ever used religious rituals that are not your own? I have, and now that I have learned why I should not have, I deeply regret having used them. Oh, I don’t mean rituals that are a part of the culture of a place you are visiting, so you feel “obligated” to participate out of respect towards your host. I mean rituals that you have decided to incorporate into your own “brand” of religious belief and/or spirituality. You know, taking bits and pieces of something and using them in a way that “fits your style” — without proper instruction on the meaning behind the ritual (as well as where, when and how to do it) . For more than 20 years, I have been learning about the various aspects of various religions, and trying to find my own particular Spiritual Path. I have never deliberately intended to be disrespectful towards any religion or spirituality — I have always had good intentions as my motive for learning. Well, I may have been disrespectful anyway, no matter the reason for doing it, no matter the “good intentions”. Back when the Europeans first came to the Western Hemisphere, they found a number of very distinct Cultures and Peoples with rich traditions of their own, including complex religions and a deeply ingrained spirituality, which permeated the entire social structure of each region. Of course, being the “Good Christians” they were, those Europeans felt bound by their Duty towards their Church to change or eradicate what they didn’t like or understand. And they made no real efforts to truly understand what they didn’t like. But there are many non-Christian groups (and individual Christians) who have realized that “Satan” has nothing to do with the Native American Indian rituals and spirituality, and have been working towards a full acceptance of the “Native American Church” — a loose conglomeration of religious practices and beliefs which happen to share a common set of central beliefs, but followers of which never called themselves a “church” prior to the 20th Century. These “hippies”, as they were once known in the 1960s and 1970s, as a means of “promoting” Native American Indian spirituality decided on their own to selectively “adopt” Native American Indian religious and spiritual rituals, rarely fully understanding the meanings and the social importance of those rituals in what are very specific settings. They learned the rituals from reading what the Christian missionaries and anthropologists wrote. I did, too, to a large extent. Later, I found how wrong many of those descriptions really are. The Sun Dance, for example, is done only at certain times during the Summer months, and it is to help the men of the community know what it is like to give birth — they endure a great amount of pain and privation which most “White Men” can only imagine; it has little, if anything, to do with any so-called “sun worship”. And the Sweat Lodge Ceremonies are for the Purification of those who are about to begin – or have recently completed – specific socially and spiritually important tasks — it isn’t just another fraternally-organized steam bath where you can get stoned out of your mind. The Vision Quest is not what most people seem to think it is, either. These and other rituals have been taken up in a willy-nilly fashion by neo-Pagan and New Age groups and individuals (the “hippies” previously mentioned) because of some perceived need to “preserve” them, or because they “like” the rituals. Or much worse, out of a misguided attempt to “honor” Native American Indians. They do not bother to truly consider how wrong it can be to do so, not thinking about how their own ancestors’ religious beliefs and rituals were corrupted by the very same piece-meal picking and choosing of whatever happened to be “popular” (or “pleasing”) at the time, nor how those rituals were wrongly “interpreted” by others. I doubt very much that the Druids of Ancient Ireland, for example, would have been pleased with a Roman follower of Jupiter “adopting” Druidic practices with no real thought to the actual meaning of those practices. But the Native American Indians who still practice their religion are expected to accept the corruption and bastardization of their rituals, all in the name of “preserving” and “honoring” them. As an example, I saw a photo of a “Burning Man” attendee wearing a “Native American spirit mask”, and at first didn’t think much of it — until I noticed that he was naked from the waist up (the photo was cropped just above his waist, so I have no idea what he was wearing below the waist – but I can guess) . For one thing — and this is extremely important — the People who happen to use that style of mask do not go naked during their public rituals, not even from the waist up, so that was a huge tip-off that if the man was “honoring” the “Native American Church”, he either never received the instruction needed, or ignored what instruction he may have received and in either case was being extremely disrespectful…no matter what “good intentions” he may have had. If there is no instruction concerning the rituals, they should not be used; there is no “But, I’m honoring such-and-such religion and/or group”. And, as any Judge will tell you concerning another subject: Ignorance is not an excuse, because there are many ways to obtain the necessary knowledge and instruction. Native American Indian rituals are a sacred thing to the practitioners and Teachers of the Native American Indian religion, and they should be treated with the exact same respect, as you would demand of anyone towards your own religion. 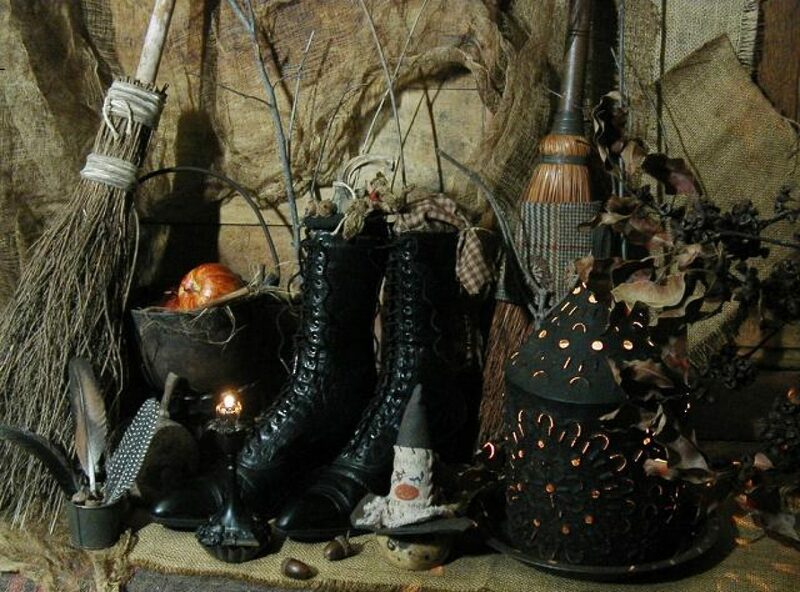 I have heard from many Pagans and Wiccans — as well as read here on WitchVox — that before anyone decides to use or take part in any ritual, those people should be instructed in the proper methods, times and places to do those rituals. 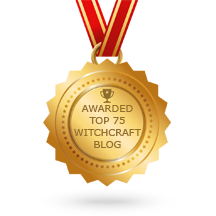 And there are many Pagan and Wiccan rituals that are to be conducted only by Ordained Priests and Priestesses, not by just anyone who feels like using them. Yet, again, there are many neo-Pagans and New Agers who feel it is somehow OK for anyone who wishes to just “adopt” whatever rituals they want, from wherever they want, and without having first gone through the necessary instruction on how, where and when to properly conduct those rituals…. Some religions may be OK with that, but most are not. It took me more than 20 years to fully realize this simple truth as it concerns the “Native American Church”, but if I had actually bothered to think about it when I began my “spiritual journey” (which, I admit, is still not completed) , I would have come to the same realization after first learning how truly Sacred certain rituals are to most religious groups. So, why was it wrong to use certain rituals in my own “brand” of spirituality? Because I did not know what those rituals truly mean, which was because I had not received any real instruction as to how, when and where to use them. I was not authorized to use those rituals because I did not receive instruction from someone who was authorized to give that instruction. I had no true respect for myself, because I had no true respect for my religious/spiritual choices. Now that I have spent more than 20 years learning about and teaching myself the various aspects of “religion”, Native American Indian religion and spirituality included, I can only hope to help others in their own journeys towards a true Spiritual Awareness and respect for (and towards) themselves, as well as religious beliefs and practices they may someday wish to “adopt” (if not actually live by) . We all want others to show some measure of respect towards our religious choices, and it is my opinion that the first step towards that is to truly respect other religions by making an honest attempt, doing everything within our means, to understand the rituals before we “adopt” any part of them. Very few out-spoken Wiccans and Pagans, after all, would simply stand by and watch a “Fluffy-bunny” neo-Pagan or New Ager improperly conduct a Purification Ritual to cleanse their laptop computer — using a plastic drinking straw as a “wand”. (Hey, we all know what is meant by “Fluffy-bunny”) I don’t really understand why the improper use of Native American Indian rituals would — or should be allowed. We gain respect for ourselves by respecting others, and we respect others by showing respect for and towards their religions by understanding the rituals involved in those religions. So, I ask again, in all seriousness: How many of you have ever used religious rituals that are not your own? Posted on February 3, 2014 by ladyoftheabyssPosted in Articles, Daily PostsTagged Europeans, Indigenous peoples of the Americas, Instruction, Native American, Native American Church, Native American Indian, Native American Indians, Native Americans in the United States, People, Race and ethnicity in the United States Census, religious rituals, spiritual rituals, Spirituality, United States. A Very Blessed Monday Morn’ To All Our Family & Friends Of The WOTC! Of all that is you. Posted on February 3, 2014 by ladyoftheabyssPosted in Articles, Daily PostsTagged China, Dungeons & Dragons, Gaia, Holidays, magic gathering, Mother goddess, People, Wizards of the Coast.